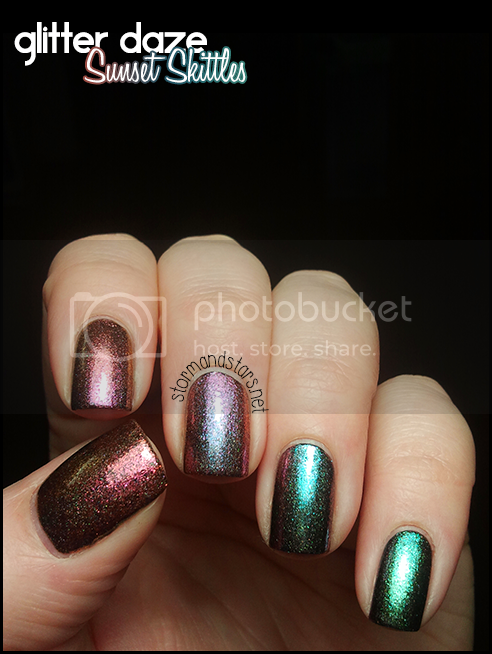 I have the final two colors from the Glitter Daze Sunset In The City Collection for you tonight as well as a little mani I made with the whole collection. Since I already talked a lot about these in my last post I'm going to get right to it. 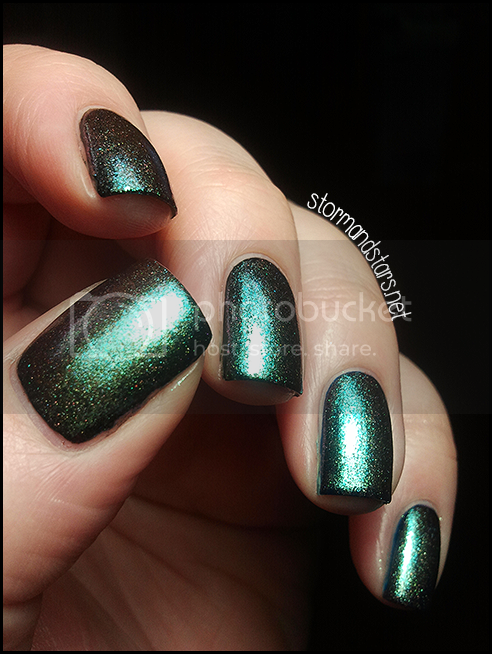 First up is the fourth lacquer in the collection Nightfall in New York City. 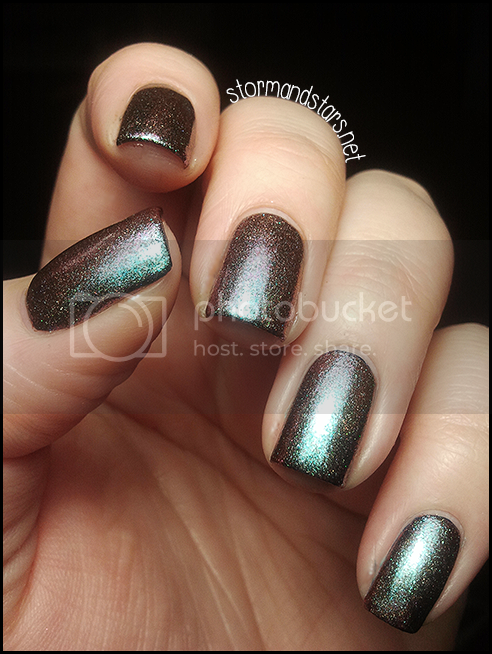 Another beautiful polish. Lets get right to to photos shall we? 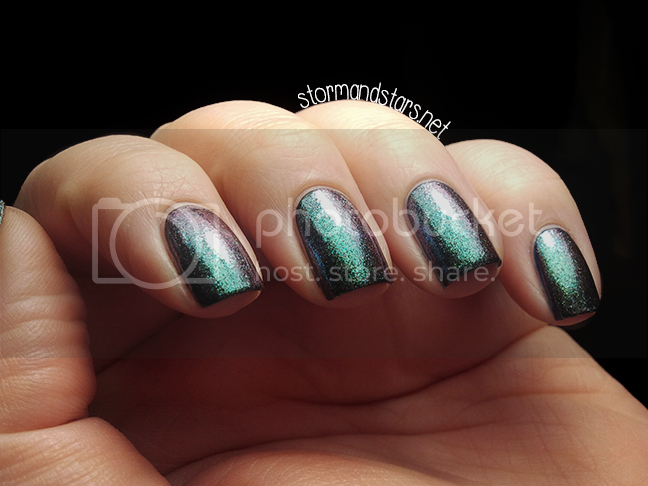 This one has blues and purples and a slight tint of teal to my eyes. Keep reading for more photos! Nightfall in New York City isn't my favorite of the bunch on my skin tone, but I can see most people falling in love with all the color shifts. Look at how much variation there is at one time! Wow! Oh, you want more photos? Well. you asked for it! 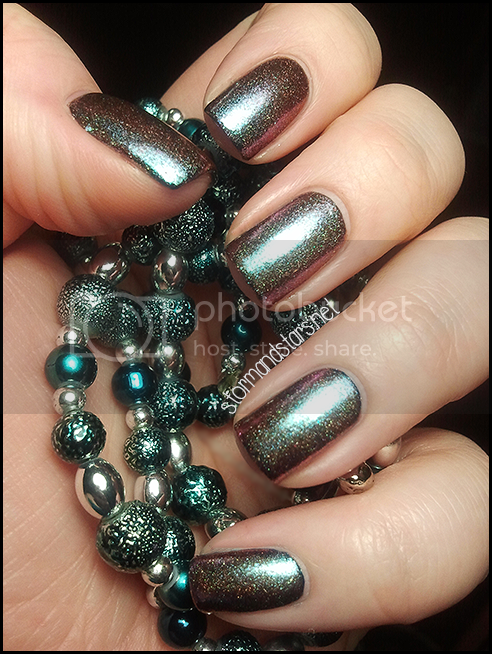 There is just so much shimmery goodness going on here! Nightfall in New York City is an absolutely beautiful color and it goes wonderfully with all the other colors in this collection. The last color in the Sunset In The City Collection is Afterglow In Aspen. This was a tricky one. I absolutely LOVED it on my nails, but I couldn't quite capture it correctly using my normal hand positions. I have both for you here. First are the positions you've probably come to know from me! 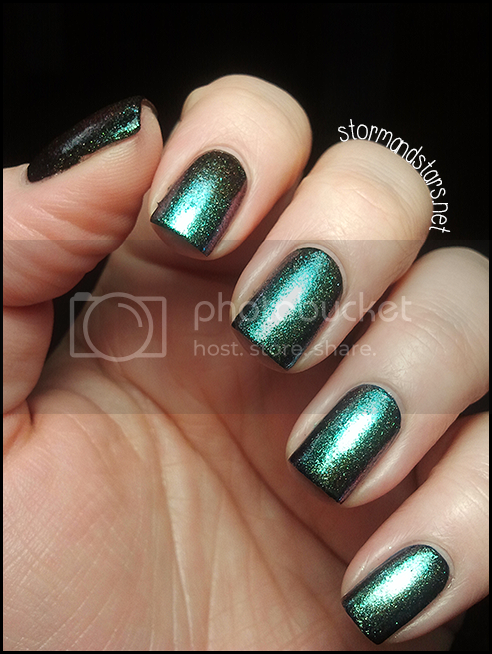 Bright teals and greens, this color definitely does NOT disappoint. Absolutely stunning! I love the colors in this so much. 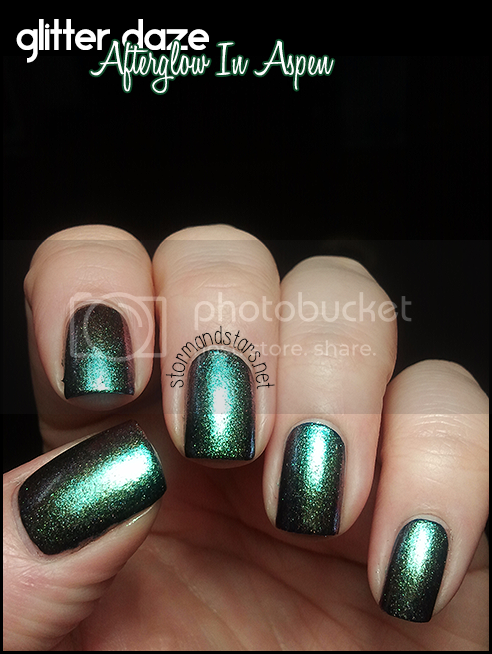 And with Emerald being the official color of 2013, how can you go wrong with a gorgeous green? 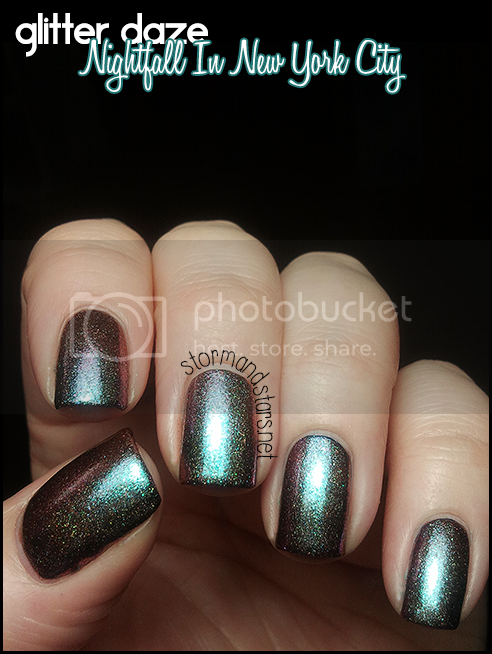 The next two photos are a little different... the hand position is off and my skin color did not come out the greatest, but I wanted you all to see the severe color shift that happens in person with this lacquer. See that purple? and the teal blue??? 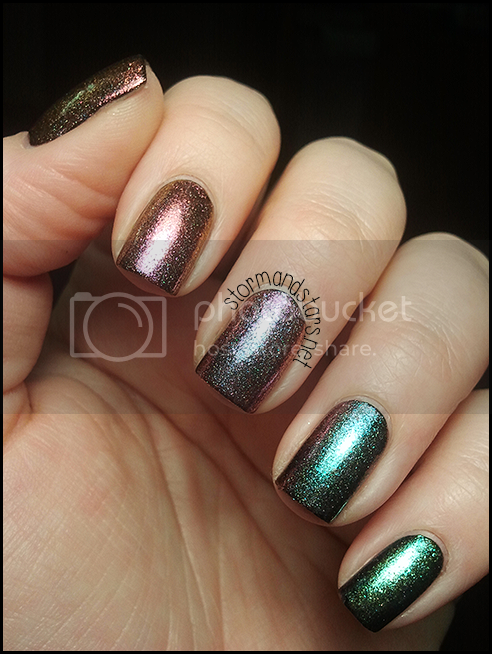 I'm sooo glad I was able to capture these two colors together in a photo because I don't think you all would have believed me if they hadn't shown up! 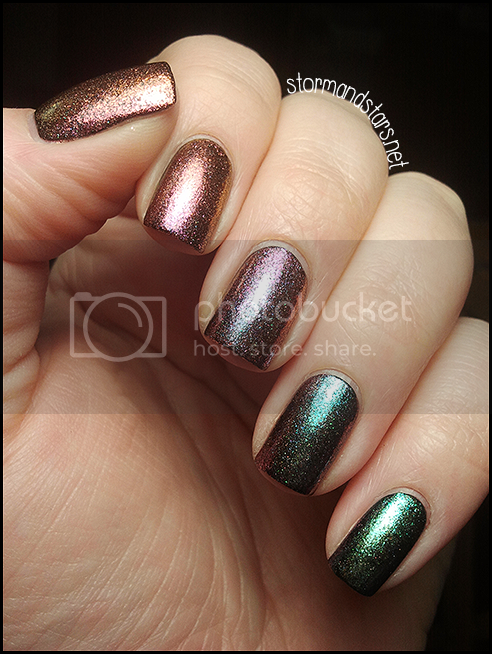 All of the above swatches are two coats of Milani Black Swift on the thumb, pointer and middle and two coats of Cult Nails Time Traveler on the ring and pinky followed by two coats of the Glitter Daze color. 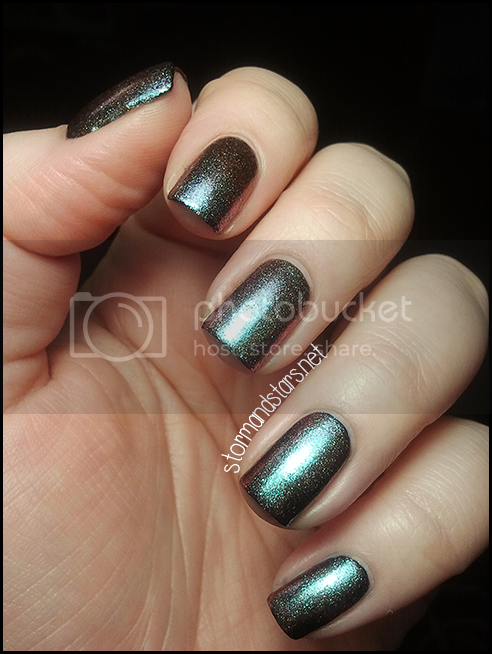 The formula on every polish was tops! What do you think about this collection? How about a recap of sorts? 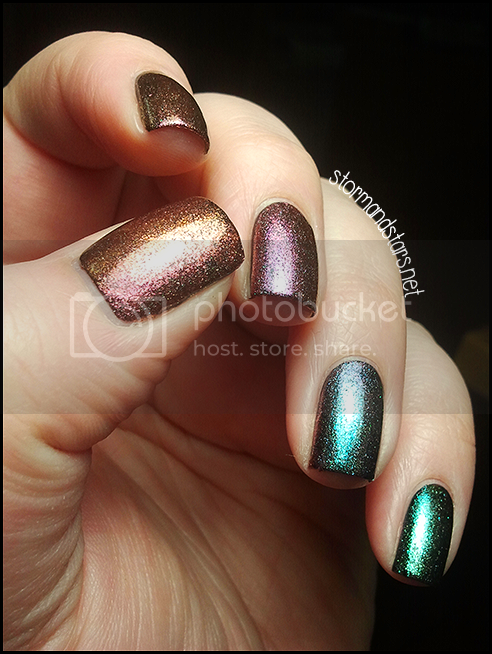 below I have some photos of a "Sunset Skittles" manicure I did with these colors. 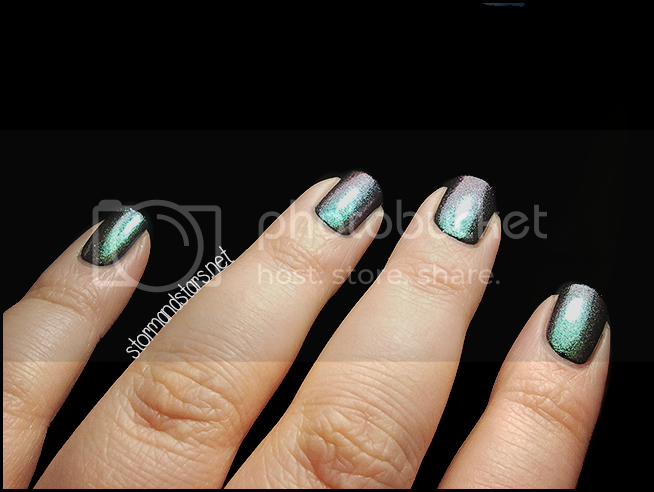 I love how it looks like a gradient across the nails. 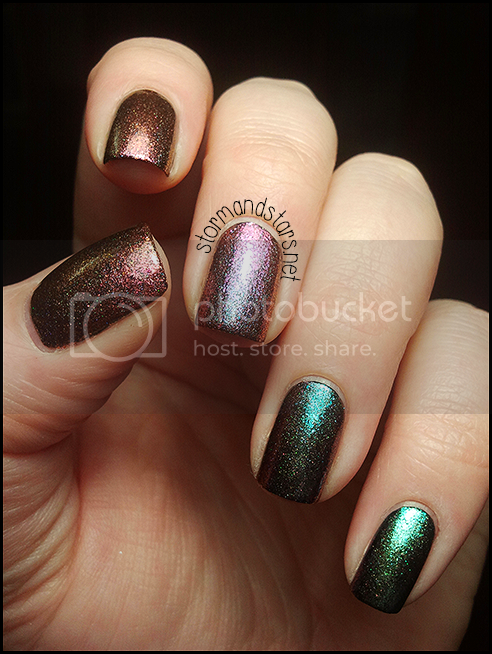 All of these are two coats of color over two coats of Milani Black Swift. From thumb to pinky it is Sundown in Seattle, Twilight in Tuscon, Dusky in Dallas, Nightfall in New York City and Afterglow in Aspen. I hope you enjoyed these colors as much as I did! Which are your favorite? You can purchase Glitter Daze at their website . Full sized bottles of the Sunset In The City Collection run $11.50 a bottle and the mini size is $6.25. You can also find the full collection there in both full size and minis. Go forth and purchase! The lacquers in the post were provided for review, however all opinions are my own.